Meal management made simple, portable, and effortless. 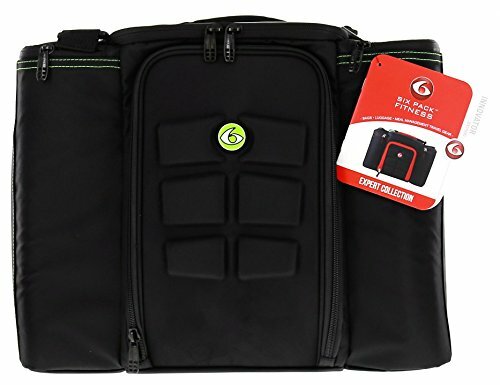 Travel with more than 5 meals, water bottles, snacks, sports nutrition products and supplements. The Innovator 500 holds 5 meals, comes with 2 Gel Packs, 5 Snap on Lid Containers and features an Ergonomic Shoulder Strap. It's everything you need to travel fit. *Adjustable patented internal shelving fits 5 Snap Lid Containers. *Two side pockets for water bottles, utensils, fruit, shaker bottles and protein holders. *Snap Lid Containers are BPA/PVC free, microwaveable, leak proof, dishwasher safe. *Erogonomic shoulder and hand strap for traveling ease. *Interior Construction: Cool Tech Lining.